Team Group Inc launches the F108 Christmas Edition to celebrate this global festival. The brand new sharp red package followed by Christmas bell and snowflake patterns express Team’s decoration for Christmas spirit. Along with the Christmas totem, which exclusively designed for the F108 Christmas Edition, F108 is a perfect Christmas present to express endearing concerns and the warm wishes in cold winter. The small, colorful and cute F108 is a beloved flash for young people. With crafty design, Team fuses sharp red metallic appearance with Christmas tree and snowflakes to express the warm blessing in Christmas. 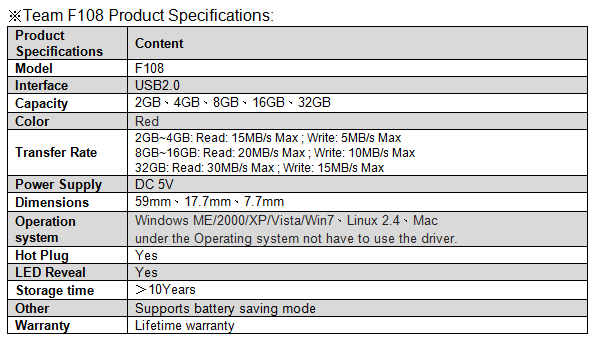 The F108 is launched in five models by capacity ranging from 2GB to 32GB. Consumers can choose their heart-felt Christmas present for their friends according to their budget. This collectible flash is also great Christmas present for you. In addition to the lifetime warranty from Team, the ultra-durable F108 is your great companion for storing the precious moments for life! Committed to provide consumers with unprecedented experience, F108 is equipped with up to date features to reduce the waiting time for storing large files, so you can spend more time with your family in Christmas. F108 Christmas Edition will surely be your best companion to share your photos or music with your friends or family during Christmas reunion. All in all, with its Christmas appearance and full features, no doubt F108 is the best Christmas present for others or yourself! 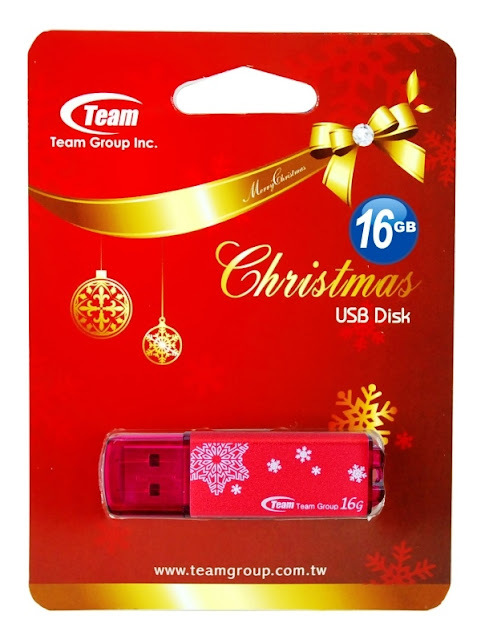 As a leading provider of memory storage products to the consumer market, Team Group is committed to providing the best storage, multimedia and data sharing solutions. All Team products come with a perfect warranty service, repair and replacement services. For more information, please visit the Team website at www.teamgroup.com.tw.